In 1943, LSD is synthesized in Basel. Two decades later, a coterie of grad students at Harvard are gradually drawn into the inner circle of renowned psychologist and psychedelic drug enthusiast Timothy Leary. Fitzhugh Loney, a psychology Ph.D. student and his wife, Joanie, become entranced by the drug's possibilities such that their “research” becomes less a matter of clinical trials and academic papers and instead turns into a free-wheeling exploration of mind expansion, group dynamics, and communal living. With his trademark humor and pathos, Boyle moves us through the Loneys' initiation at one of Leary's parties to his notorious summer seminars in Zihuatanejo until the Loneys' eventual expulsion from Harvard and their introduction to a communal arrangement of thirty devotees -- students, wives, and children -- living together in a sixty-four room mansion and devoting themselves to all kinds of experimentation and questioning. Is LSD a belief system? Does it allow you to see God? Can the Loneys' marriage -- or any marriage, for that matter -- survive the chaotic and sometimes orgiastic use of psychedelic drugs? 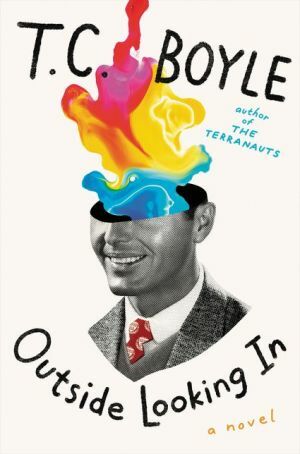 Wry, witty, and wise, Outside Looking In is an ideal subject for this American master, and highlights Boyle's acrobatic prose, detailed plots, and big ideas. It's an utterly engaging and occasionally trippy look at the nature of reality, identity, and consciousness, as well as our seemingly infinite capacities for creativity, re-invention, and self-discovery.